Daily Debate: What’s The Worst Mistake You’ve Ever Made When Playing Zelda? Despite being the hero of the adventure, sometimes mistakes are just bound to be made. Not all screw ups are bad though. Sometimes they lead to hilarious results, such as the first time people experimented with launching themselves along with boulders using Stasis in Breath of the Wild. Let me tell you, flying at 130 miles per hour on a rock that’s more likely to end up on top of you than be a safe space was not the smartest thing I’ve ever tried. I think the worst mistake I’ve ever made was deciding to test the quality of my sword on some friendly neighborhood cucco’s in A Link to the Past. I don’t believe heart attacks are common in six year olds, but that may have been the closest I’d come. 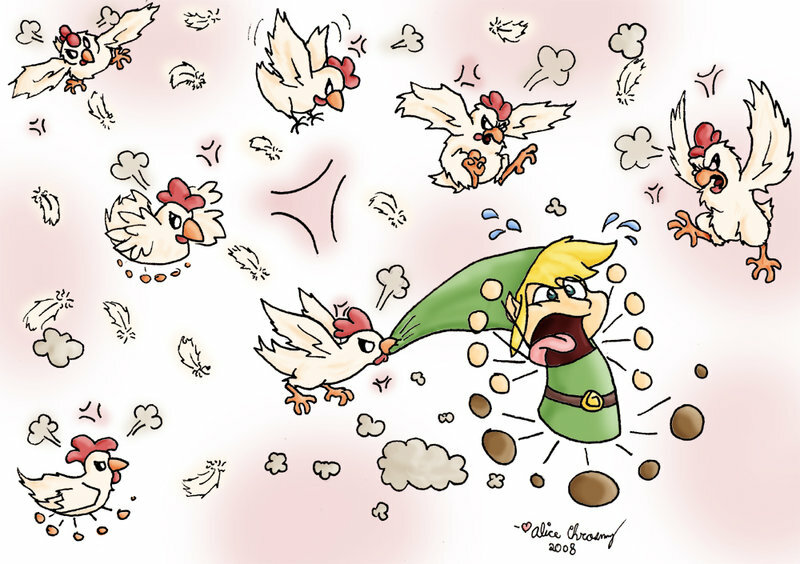 If you’re new to the series, consider the life-ending properties of chickens before introducing them to your weaponry. In-game wonkiness isn’t all that qualifies though. Sometimes real life gets just as complicated as the situations in the dungeons. Such as the hellfire of a sticky soda spilling all of your nunchuk, dooming you to an embarrassing yet impressive Link shishkabob courtesy of Koloktos in Skyward Sword. But what about you, fellow Zelda fans? What’s the worst mistake you’ve ever made when playing Zelda? What chaos and/or hilarity ensued? Spread your woe in the comments below! Feature art by aliceapproved on DeviantArt.